The term Business Improvement District – in short, BID – sounds so benign. Businesses improving their districts ought to be a good thing, right? However, the BIDs, as artist and activist Robert Lederman explores in his piece below, don’t just stay on their side of the street. In CEO Mayor Bloomberg’s New York, their tentacles spread far and wide, amidst the roots of the trees, up through the dirt or concrete, and busting out into our public spaces. In the last few weeks at Union Square Park, the street artists who display their art have been harassed by Parks Department police. When Lederman sat down with Parks Department officials to question them about this, the Parks Department said there was no change in policy towards the artists at Union Square. A NYC Agency (The Parks Department) in charge of public property held in trust for the people of NYC (all the NYC Parks) turns over daily operation of each park to a BID (Business Improvement District). The corporate- owned media (which are leading board members of all the BIDs) cheerleads for this as a great service to NYC. Washington Square Park and Union Square Park are two of the great public spaces in New York City – each with incredible historical references and ideals. 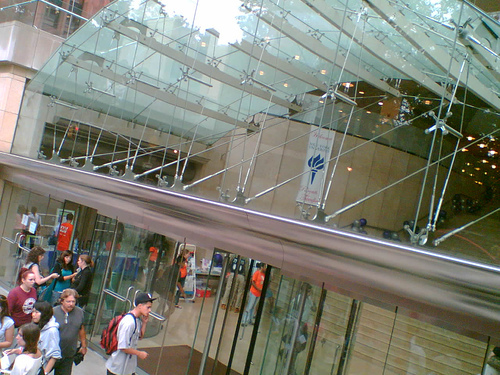 Public space – our commons – is being continually minimized and distorted in the interest of privatization and the ‘shopping mall’-ification of the city. Real estate interests and Business improvement districts (BIDS) rule and communities lose out in Mayor Bloomberg’s New York. Come learn about and reclaim these two great NYC spaces. Union Square Park * Wednesday, July 2nd, 6 p.m.
As the nation prepares to celebrate it’s 232nd Birthday, and the Union Square BID (Business Improvement District) prepares to privatize the LANDMARKED Pavilion building, come join the Community Improvement District (CID), along with your favorite radical heroes of Union Square for a radical auction action and more. Make a bid on your favorite national chain store franchise! Dance circles around stodgy, stogie-smoking, sell-out politicians! Marvel as the park pushes back against the greedy takeover artists! Let’s push back the privatizers and keep Union Square a place for public gatherings, public rallies, and public play. PUSH BACK THE BID — UNION SQUARE IS NOT FOR SALE! 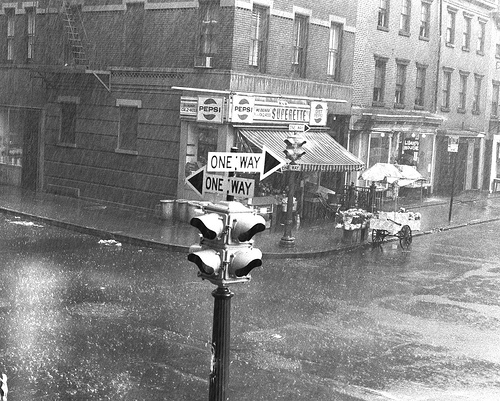 Washington Square Park Blog and Washington Square Community Improvement District (CID) present a walking tour: “Washington Square Park Past, Present, and Future: A Guide to New York City’s Redesign of a Perfect Public Space” on Saturday, June 28th at 12 noon. A unique Walking Tour of Washington Square Park Past, Present and Future, it will include a Guide to New York City government’s redesign of Washington Square Park – a controversial project that will alter the historic nature and structure of this successful public space. The tour will also include history of the Park (Past) and what’s being done right now(Present). Community Improvement Districts(CID) are a new model organizing to protect, preserve and promote the well being of our community. The needs of people are our primary concern, distinguishing us from the better known and financed groups referred to as Business Improvement Districts(BIDS), whose sole interest is promoting better business and an environment conducive to shopping. 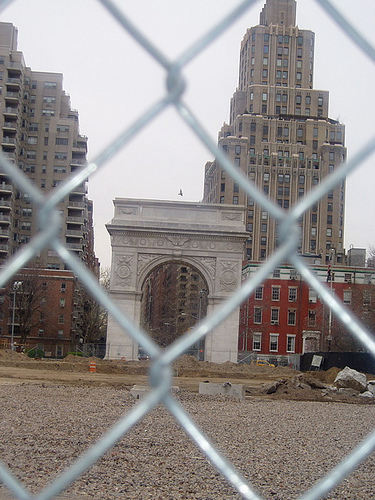 At Washington Square Park, the neighborhood BIDS, along with NYU, the Tisch Family, and Mayor Bloomberg have played a role in a redesign plan that is destroying the very heart of Washington Square Park. More about Community Improvement Districts (CID) here. What are New York City’s plans? Click here. Yankee Stadium Parks update: Parks Dept is “inexperienced” in building parks on top of parking garages. The New York City Council Parks & Recreation Committee called the NYC Parks Department forward to ask a few questions yesterday about the delays (2 years) and skyrocketing costs (from budgeted $99.5 million to now $174 million) of replacing parkland in the South Bronx taken away to create the new Yankee Stadium. Remember how NYC government took away 40 acres from 2 parks (destroyed one entirely) in their quest to give the Yankees Corporation whatever they wanted for their expensive, high tech building? The Parks Committee decided it was time to offer some oversight. Finally, Parks representative Kavanagh explained the real problem was the “unusual locations” chosen for the replacement parks, “including one atop a stadium parking garage.” “It is not something we are fully familiar with,” he commented. That is the equivalent of what happened to the people in the South Bronx who watched their parks destroyed all in the interest of privatization for Mayors Bloomberg & Guiliani‘s “vision” for our city. Manhattan Community Board 2 voted 37-1 (with 2 abstentions) to approve NYU’s proposal to demolish 133-139 MacDougal Street, the Provincetown Playhouse and Apartments. Greenwich Village Society for Historic Preservation(GVSHP) noted, at last week’s general meeting(June 19), speaker after speaker spoke out against NYU’s demolition plans and ONLY NYU and Manhattan Borough President Scott Stringer‘s office spoke in favor of demolishing the Provincetown Playhouse and yet the Community Board voted with them. Who exactly does the Community Board represent? “The building, originally four separate townhouses, was combined in the early 1940s. In 1916, the Provincetown Players, including playwright Eugene O’Neill, called 139 Macdougal Street home, and two years later moved three houses down to its current home at 133 Macdougal. The Players, famous for experimental theater, book-ended the four houses with fellow radicals living in between them. 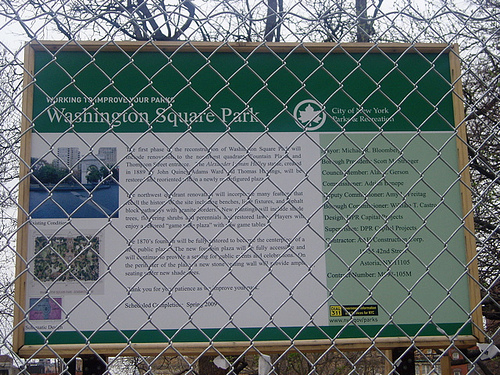 Then, if you look at their track record on Washington Square Park, Community Board 2 voted twice in favor of the “renovation” of Washington Square Park again despite widespread community disapproval. 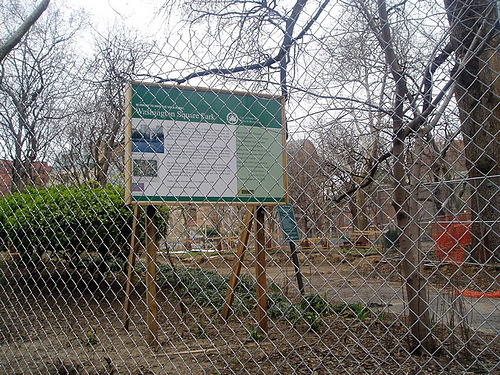 The Board eventually rescinded their approval when the New York City Parks Department’s lack of transparency and withholding of information became impossible to ignore. That being said, neither Community Board Chair Brad Hoylman, nor NYC Parks Commissioner Adrian Benepe, seem to remember that the “approval” was rescinded. The Community Board chairs are often seen featured in photos with Commissioner Benepe and the BID (Business Improvement District) members holding checks towards the Park’s redesign. So, who exactly does the Community Board represent? 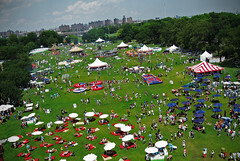 Bloomberg L.P. “Summer Party ’08” Takes Over Randalls Island (A “Public” Park?) This Past Weekend for Gala Event – Oh My! Despite articles written about the not-so-ideal work conditions at Bloomberg L.P., Mayor Bloomberg’s company, I gather they make it up to their employees once a year with a gala event every summer to show us city folks who is boss. After all, it’s not many city parks that get closed off to the public for private parties for weeks at a time (includes preparation) yet somehow Bloomberg L.P. is able to swing it! 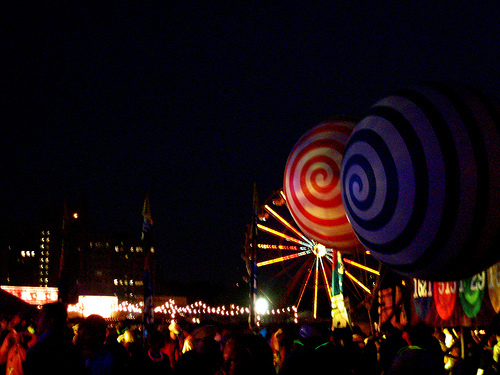 Held this past weekend, the event consisted of: a ferris wheel, a merry-go-round, flying swings, roller skating rink, human foosball (I’m trying to picture that), salsa dancing, a classic car showroom, miniature golf, espresso bar, a Burger Shack (any relation to Shake Shack? ), kid’s camp, and more! Needless to say, it takes over two weeks to set up. Perhaps if it was one day, that would be one thing – still questionable – however, closing off a large majority of a public park (the rest is under construction) for weeks at a time for a private corporation is a bit, um, outrageous. 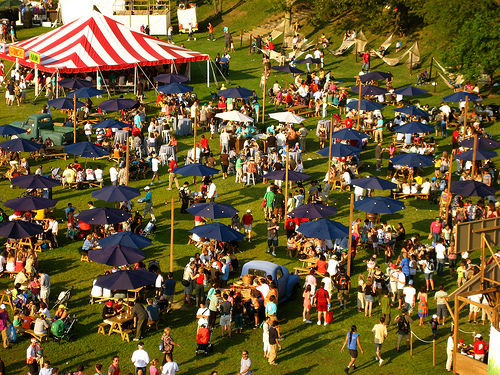 If you were looking for a clue as to why New Yorkers, Mayor Bloomberg, think New York is going in the wrong direction, I think you could start right there at the site of your company’s lavish party on Randall’s Island, New York City “public” parkland. This will be a unique Walking Tour of Washington Square Park Past, Present and Future. It will include a Guide to New York City government’s redesign of Washington Square Park – a controversial project that will alter the historic nature and structure of this successful public space. Pushed through with a non-transparent process by the New York City Parks Department, the redesign of this park is largely unwelcome by the community and was done without listening to community input. What buildings in New York City would you like to see go? It seems like we are forever witnessing developers (and our government) tear down our architectural and historic gems only to erect big box glass buildings (and worse)! amNY asked some architects and critics what buildings they’d like to see taken out of our collective space and replaced. Not surprisingly, NYU had two of them! (I’m certain there are more that could be listed.) And, unfortunately, they both are on the south border of Washington Square Park. *Bloomberg L.P. has taken over half of Randall’s Island not under construction (for those ballfields for private school kids) for their annual private party which includes “several weeks” of preparation. Parks for Sale? The event will take place next weekend, and “in years past has included an indoor ice -skating rink, exotic animals, belly dancers, amusement park rides, a casino and a temporary beach made from trucked-in sand.” Metro NY’s Patrick Arden has the story. *New York Times reports 33 trees in Central Park didn’t survive last week’s storm. David W. Dunlap writes: “It would be a sad census in any case, but the tally of trees lost in Central Park to high winds during the storm on June 10 comes with particular ill grace in the middle of the Million Trees NYC campaign.” Amazing how pervasive the Million Trees NYC hype is despite the true facts surrounding Mayor Bloomberg and his Parks Commissioner Adrian Benepe’s tree destruction in our city’s parks. *The New York Times also conducted a poll about the city and Mayor Bloomberg. 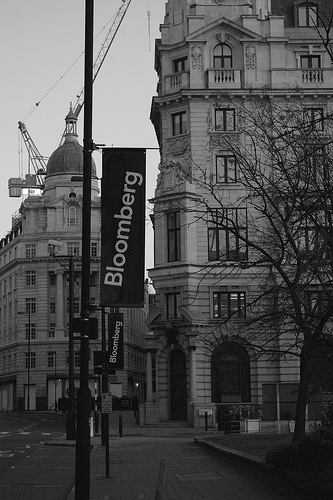 Although many read it as validation of Bloomberg’s “popularity,” it was a bit more complex. While “approval” of his job as Mayor is at 67%, according to this poll, 56% of the people polled feel that “things in New York City have gotten seriously off track” vs. going in the “right direction.” (7% didn’t respond or weren’t sure.) Basically, a group of people believes Bloomberg is doing a good job but they don’t link him with what’s wrong. Yet, they are “hard pressed to point to any particular accomplishments of his administration.” Could his high rating be because of stories like the one above in which is name is omitted thereby erasing any links? Yes, people should put these pieces together for themselves but the media is very powerful in shaping impressions. Will New York City recognize the importance of “Bohemia” in all societies, including its own? In “Last Call, Bohemia” in this month’s (July) Vanity Fair, Christopher Hitchens observes how London, Paris and San Francisco – also renowned for neighborhoods which foster climates of creativity and culture, havens for “the artists, exiles and misfits” – have “learned” and adopted a hands off policy towards building un-affordable, big box monstrosities in these areas. What will it take for real-estate-obsessed New York City to do the same? Hitchens’ focuses on these havens as places for people who “regenerate the culture.” Within the article, he targets the St. Vincents/Rudin Management “plan” to remake a large swath of the West Village for “luxury housing” and a new medical building as exactly the type development that should be stopped. He explores what it means not just the Village, but for the City at large. It isn’t possible to quantify the extent to which society and culture are indebted to Bohemia. In every age in every successful country, it has been important that at least a small part of the cityscape is not dominated by bankers, developers, chain stores, generic restaurants, and railway terminals. This little quarter should instead be the preserve of—in no special order—insomniacs and restaurants and bars that never close; bibliophiles and the little stores and stalls that cater to them; alcoholics and addicts and deviants and the proprietors who understand them; aspirant painters and musicians and the modest studios that can accommodate them; ladies of easy virtue and the men who require them; misfits and poets from foreign shores and exiles from remote and cruel dictatorships. Though it should be no disadvantage to be young in such a quartier, the atmosphere should not by any means discourage the veteran. Jane Jacobs in 1961 argued for this same importance: the importance of retaining some of “the old,” buildings which allowed for greater diversity of uses (and lower costs), amidst the “new,” construction which would need high end and less unique businesses to support it. When your whole city begins to look overrun with the “new,” then what do you do? Yet how do you regulate that? And should you have to? Certainly, under Mayor Bloomberg, there is the homogenization factor. The City’s redesign plans for Washington Square Park illustrate no understanding or acknowledgment (and, perhaps, purposefully) of the “strange,” the unique, bohemia or diversity. Shouldn’t we live in a society that values places like Washington Square Park as is? Instead of protecting Wall Street and tourism, wouldn’t we like to live in a place where the quaint and historical buildings around Washington Square and throughout the West and East Village that NYU has subsumed wouldn’t be touched?